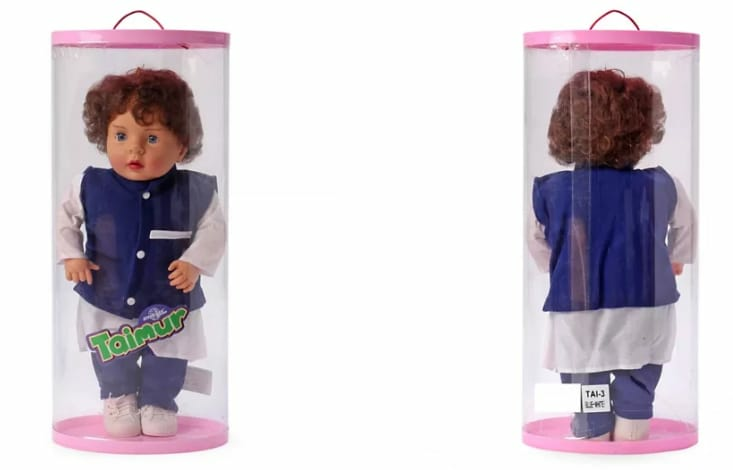 Is 'Taimur Baba Doll' the latest rage in the toy world? Taimur Ali Khan is arguably India’s youngest superstar right now and he knows it. Ever since Kareena Kapoor and Saif Ali Khan's son stepped into this world, Taimur has been the paparazzi's favourite. And boy, does he like to pose. Thanks to his immense popularity and growing interest in the media, you may already have at least four photos of 'cute baby Taimur' fighting for your 'like' from Instagram's 'Suggested Posts' sections. But gone are the days when you had to just settle for his adorable photos. 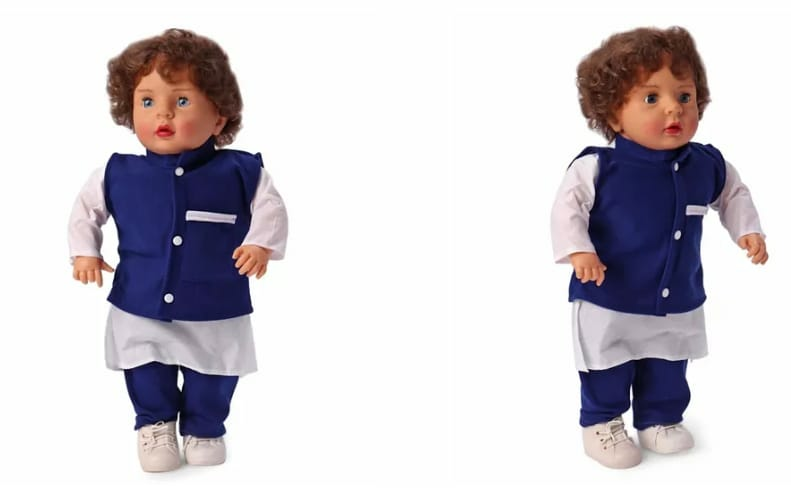 If you want the real, baby-experience, a website now gives Taimur fanboys and fangirls a golden opportunity to take the little kid home - in the form of plush toy. Yes, you read that right. Not creepy at all. FirstCry.com, a shopping store for kids & baby products, has given this unique chance for Taimurians to hold star kid and even cuddle with him. 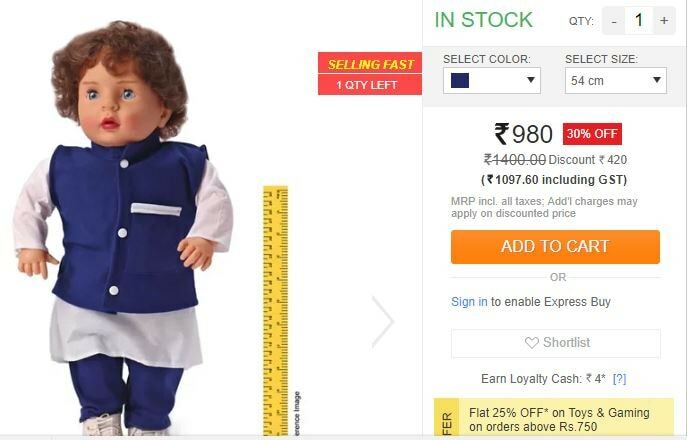 Standing at a height of 54 cm (1.77 feet), the Taimur Baba Doll comes only in one colour - white. 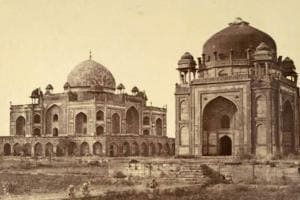 It is made in India and is available on the website for ₹980. 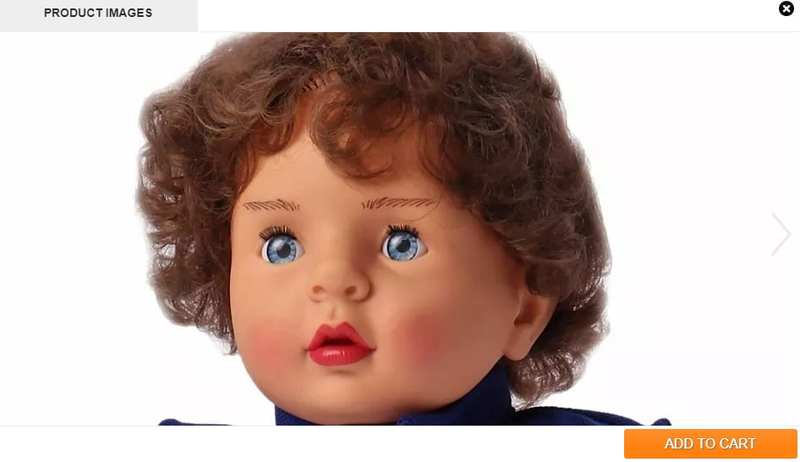 "2 to 8 years, develops social and emotional growth, highly detailed doll with realistic eyes," reads the description. Friendly advice: There's only one left. Go grab your Taimur Baba now. And if you aren't into online shopping, this could help you out.